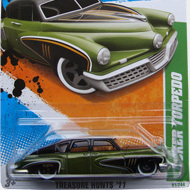 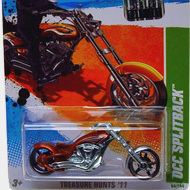 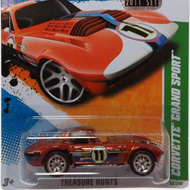 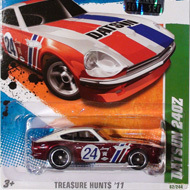 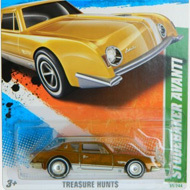 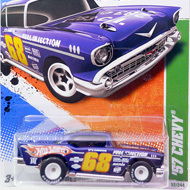 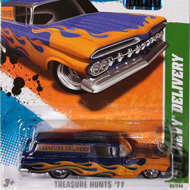 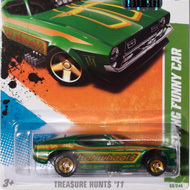 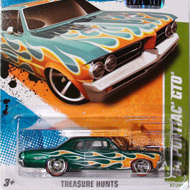 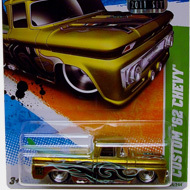 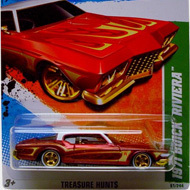 The 2011 super set includes the same 15 vehicles as the regular set, but they have premium paint and wheels. 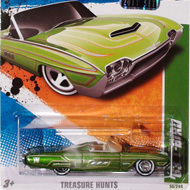 The package can be identified by a vertical green stripe with the car’s name. 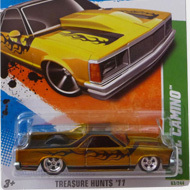 At the base of the card is “TREA$URE HUNT$” or “TREA$URE HUNT$ ’11”.